Clinical OMICs Webinars are critical resources for industry leaders to hear the latest developments on a specific topic directly from the experts in the field. All webinars meet our high standards of editorial quality, with the end-to-end design, development, and deployment managed in-house to ensure authority and credibility. 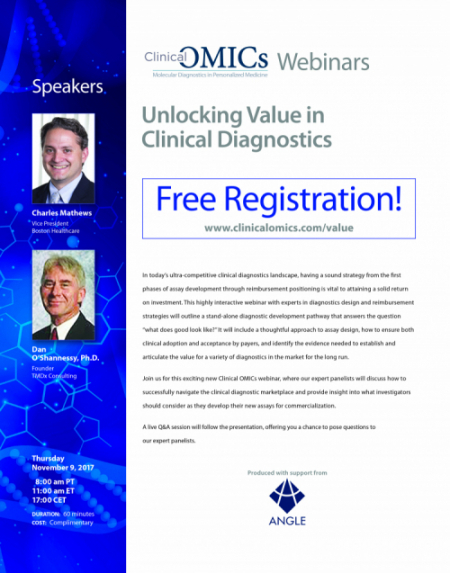 Clinical OMICs Webinars offer the highest level of engagement available across our product portfolio, with participants committing to spend more than 60 minutes immersed in our content and, in turn, with your brand. Results include an unmatched concentration of engaged, qualified leads with demonstrated purchasing power.